For many years I had heard conflicting opinions regarding the best time to eat shellfish. After You Steam It on Your Grill! It was believed the best time to consume shellfish was from September to April. This was known as the “R” rule for shellfish. After April, the next four months are “supposedly” not the best months to eat shellfish. In the past, issues such as increased levels of toxins (red tide), spawning and depletion of supply have fueled the concerns surrounding this rule. Stronger food safety and proper shellfish inspections in recent years have helped regulate the shellfish industry. Because of these positive changes in the seafood industry, I believe if you are going to consume seafood any time of the year, you will have to find and trust your local fish market. Trust Your Local Fishmonger. . .
Over the past several years, I have cooked many “New England Clam and Lobster Bakes” for my clients here on Mount Desert Island, Maine. I have been able to find and trust my seafood purchases by visiting Parsons’ Lobsters and Seafood right in the middle of Bar Harbor, Maine. 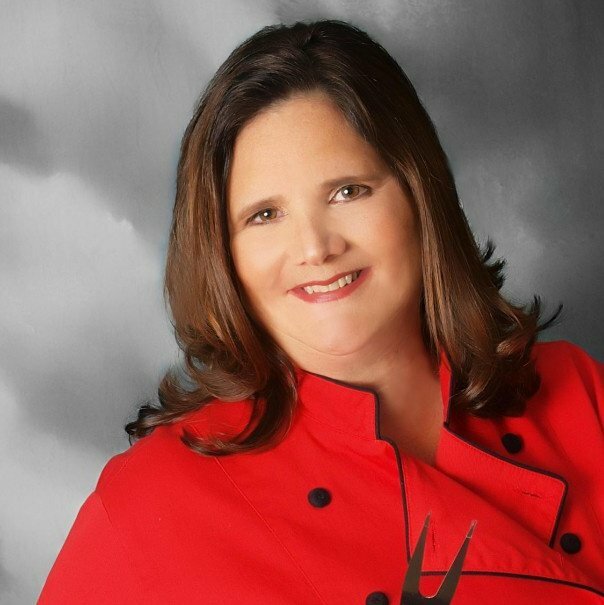 The owner and chief “halibut filet-er” is Debbie Parsons. 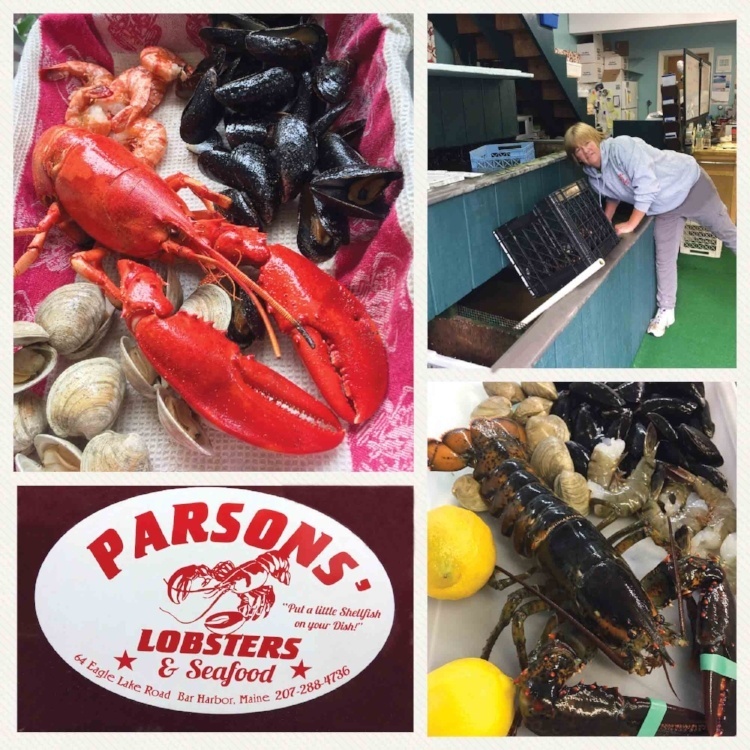 Her family has owned Parsons’ for 42 years, and I can say, with that kind of experience, you can rely on Parsons’ to sell you the freshest and safest seafood throughout the summer. Debbie’s family seafood market motto is “Put a little seafood on your dish!” Their sign clearly states they “DON’T COOK,” but they certainly have some of the freshest seafood and hardest working people in town! I think this July, I will be doing the cooking and “putting a little seafood (shellfish)” on my grill, with a lot of help from my friend Debbie! Grilled Lobster, Clams, Mussels, and Shrimp. . .
As I mentioned earlier, I just want you to know that my “New England Clam & Lobster Bake” recipe is the simplest summertime dish. What makes it so simple? The ElectriChef Electric Grill! A typical shellfish bake includes Maine lobster, mussels, clams, and shrimp. You can throw in some corn and potatoes, but for today’s recipe, I would like to focus on the seafood and the amazing ability to steam your entire recipe right on your ElectriChef Grill in under 17 minutes! When making my “Grilled New England Clam & Lobster Bake,” be sure to buy your seafood from a fishmonger you can trust and follow my instructions in the PRO TIPS. Seafood and especially shellfish can be very perishable, so proper preparation is important to ensure the best-grilled shellfish any month of the year. • Rinse your shellfish (clams & mussels) under running water to remove any sand or debris, remove any broken shells. Place shellfish in a large pot of cold salted water and refrigerate for about 20-30 minutes, stirring occasionally. PRO TIP: This is called purging, the sediment from inside the shellfish is released in the fresh water and falls to the bottom of the pot. When removing the shellfish from the cold water to the grill, try not to disturb the sand on the bottom of the pot. Mussels sometimes have small, fibrous “beards,” which should be pinched off. PRO TIP: Healthy shellfish will close their shells when firmly tapped. If they do not close, there is a high potential the shellfish has passed and should be discarded. • Place lobster and shrimp in a shallow pan of water to keep them moist. PRO TIP: Make sure you remove the rubber bands from the claws. Leaving them on will result in melted rubber and a huge mess on your grill. • Turn on your ElectriChef Electric Grill to 550°F, carefully pour water into the drip tray. Spray your ElectriChef grill grates with Canola oil. • Bring pot from refrigerator and place next to your ElectriChef Grill. • Carefully remove the shellfish from the water by hand and place on your Electrichef grill as soon as you turn it on to preheat. The steaming process will occur while the grill is preheating. NOTE: The ElectriChef Grill preheating time varies depending on the temperature of the environment. Because I am in Maine, the outside temperature is a little cooler and my Safire ElectriChef Grill takes about 16-18 minutes to get to 550°F. 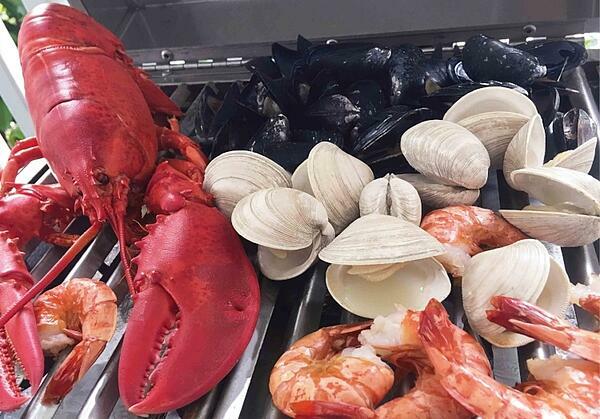 By placing the shellfish on the grill as soon as you add water to the drip pan and start preheating process, the shellfish will begin steaming while the grill warms up. After about 9 minutes, the grill will be about 360°F and the shellfish will be just about steamed. • Place the lobsters and shrimp directly on the grill giving all the shellfish enough room to properly steam. Immediately close the grill lid and do not open for at least 10 minutes. 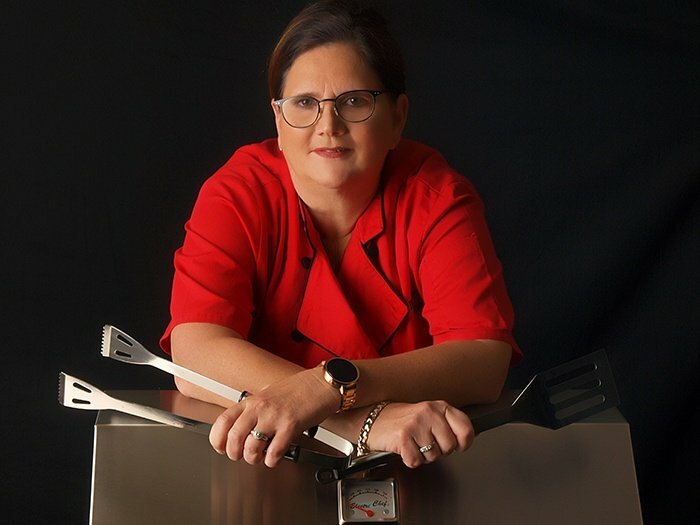 • You will see a lot of steam coming from the grill, this is OK. Open the grill after 10 minutes and check to see if clams and mussels have opened. Cooking time varies depending on the size of the shellfish. • The lobster and shrimp should be turned once at this time and left for an additional 8-10 minutes. The shrimp, clams, and mussels can be left on if they are not completely cooked. NOTE: Shrimp is done when it is bright pink in color. A whole (soft or new) lobster will be cooked in about 10-12 minutes per pound. Hard shell lobsters don't hold much water inside so I only recommend grilling the soft or new lobsters. The clams, and mussels are done when they open, any that don't open have usually passed and should be dirgarded. • Transfer all the shellfish to a serving dish and sprinkle with Old Bay Seasoning. • Melt the butter and serve with lemon wedges. Add a bit of crusty bread! PRO TIP: If you are going to include the potatoes and corn, partially cook them both and place on the grill when you add the shellfish to the grill. What’s Next? Love Seafood and ready for more? Check out this tasty grilled shrimp and scallop recipe!